Portuguese immigrants began settling in California in the mid-1800s. 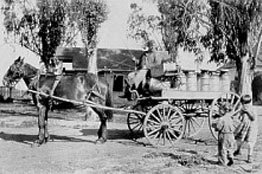 In the 1850s, the Portuguese began to settle in the Santa Clara Valley. They came with their dreams to build a new life for themselves and their families and to escape the restrictions of the old world that limited their opportunities. With varied skills and little education, they were determined to improve their quality of life. A number of Portuguese Americans have been prominent in contributing to the development of American culture and society. Benjamin Cardoza, the Supreme Court Justice (1932-1938), John Dos Passos (1896-1970), the author of the famous USA trilogy and other works on American society, and John Phillip Sousa (1854-1932), the composer of many of America’s best-loved marching songs, were men of Portuguese heritage who played important roles in the history of the United States. Just as important, but rarely told, is the story of the everyday immigrant–his struggles and achievements in a new land. These are the true unsung heroes who, like many others, made America what it is today. Now these untold and nearly-forgotten stories can be preserved in a Portuguese museum. 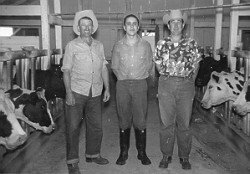 The museum enables us to see and appreciate the experiences and contributions of Portuguese Americans through displays of their photographs, diaries, newspaper articles, and artifacts used in their daily lives. The Portuguese Heritage Society of California has built this museum with the support of the community that it represents, local governments and organizations, and the Government of Portugal to serve as a center for the display of Portuguese heritage and culture. In addition to its permanent exhibits, it will house and host exhibits and cultural programs from various organizations and the many Portuguese communities in the United States and around the world.